Paper Makeup Stamps: March Sneak Peeks Day 2, A Fairy Nice Day! 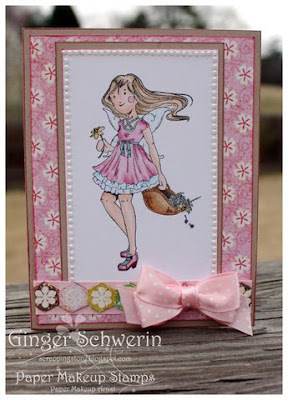 March Sneak Peeks Day 2, A Fairy Nice Day! Well I hope that everyone is having a Fairy Nice Day! Today is our second day of sneak peeks for our March/April release and we are previewing the fairies from our upcoming release that will be live on March 7th at 9pm CST. At the same time, we will start our release party in our Forum. We would just LOVE for you to join us! We like to play games, talk about food and just hang out. Good times for all! But you won't have to wait until 9pm to have a little release fun! 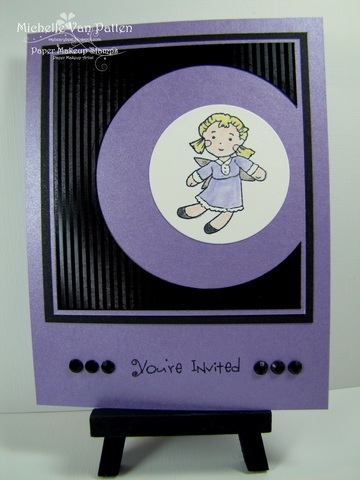 On the 7th at 7am EST we will start our New Release Blog Hop! She comes with the sweet sentiment, "for a sleeping beauty"
And see her sweet dolly? Well that is being sold a a separate stamp (and digi!) as well for a mere $2! Next up we have Danny! 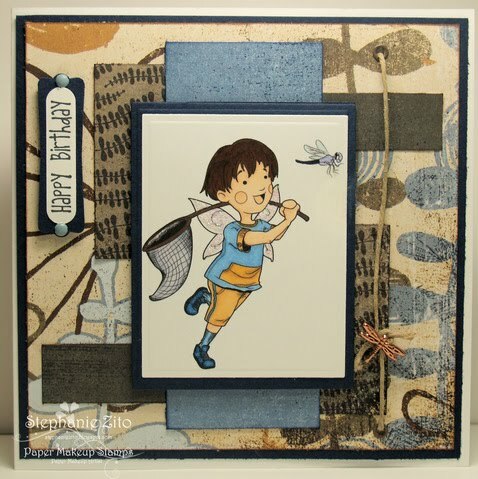 Danny also comes with a little dragonfly extra stamp! 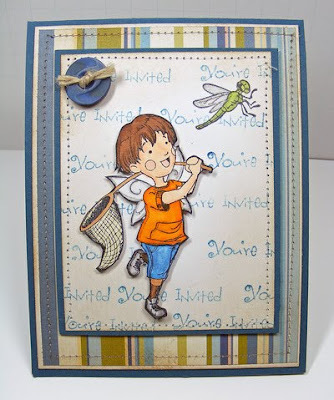 We are releasing Will from the Will to Daydream Stamp Kit as a single BUT he will come with a sweet thinking of you sentiment as well! Have a FAIRY nice day!!! They are great! Beautiful inspiration! Wow!!! 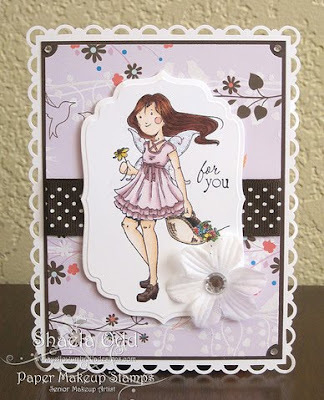 Fantastic cards ladies, they are all just gorgeous!!!! Oh, how I love the PMS fairies!! Incredible cards everyone!! Great inspiration. I love Aurora. She reminds me of my own Sleeping Beauty. Wow, i think my favorite has to be Aurora, she is SO cute in her fuzzy slippers with her little dollie!! the DT did amazing with this release. every card is fabulous! as always a cute group of fairies. you have got some seriously cute images in this release. thanks for sharing. These are super cute! Aurora is my new favorite! Awwww I love Aurora with her little doll!! OMGosh these are flat adorable! I just love all four of them....especially Danny! He would be perfect to make a card for my bug loving son! Great job on the inspiration ladies! Wow! 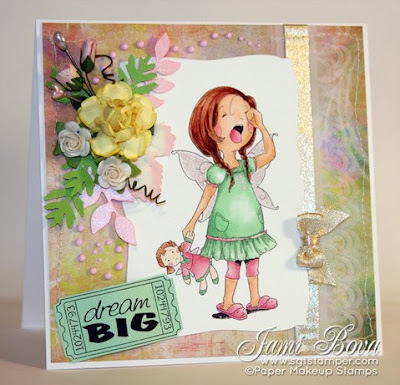 That little darling sleepy fairy is my favorite :) How super cute, love the examples!!! AWWW!!!! I don't know if I like Aurora better or Chelsea! It's always so hard to pick a fave. The cards are all so wonderful. You have such a talented DT! Way to go, ladies!! Paper Makeup Stamps is sponsoring JUGs!! !